Please call for an appointment or for additional information. Our Intake staff will be glad to assist you in setting up an appointment with a therapist or doctor who specializes in the area on which you wish to focus. Click here to subscribe to our Newsletter. Insurance: We participate with several insurance plans. Our intake staff will be glad to assist you in clarifying your insurance benefits and needs. 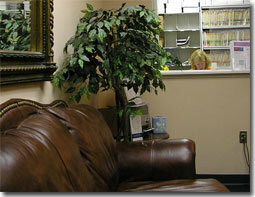 Appointments: All clients are seen on an appointment basis. Appointments can be made by phone or in person. Payments: Payments for services rendered at The Renascence Center, LLC is due at the time of service. We accept cash, check, Visa, MasterCard and American Express. Cancellations: If an appointment cannot be kept, a 24-hour cancellation notice must be given, otherwise a charge will be incurred for the missed appointment time. Parking: Convenient and free off-street parking. Handicapped accessible. Metro accessible: We are approximately one mile from the Ballston Metro Station. We are also accessible by bus.